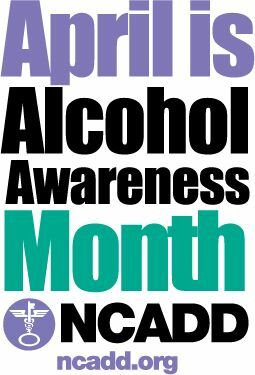 Founded and sponsored by the National Council on Alcoholism and Drug Dependence (now Facing Addiction with NCADD), Alcohol Awareness Month was established in 1987 to help reduce the stigma so often associated with alcohol addiction by encouraging communities to reach out to the American public each April with information about alcohol, alcohol addiction, and recovery. Alcohol addiction is a chronic, progressive disease, genetically predisposed and fatal if untreated. However, people can and do recover. In fact, it is estimated that as many as 20 million individuals and family members are living lives in recovery from alcohol use! How is AMHC addressing the issue? Outpatient and Intensive Outpatient Treatment programs, which require regular attendance for a set period of time. Driver Education and Evaluation Program (DEEP) services for individuals seeking to regain their license following an operating under the influence charge. In Maine, over 4,000 children in 2018 were victims of abuse. Visit the Prevent Child Abuse America (PCAA) website at https://preventchildabuse.org for resources on how to spot child abuse. In the U.S., 4 to 5 children die from child abuse or neglect every day. U.S. child protective services referrals involve 7.2 million children every year. 91% of child abuse perpetrators are parents. Join AMHC for the 20th Annual Denim Day on April 24th in support of Sexual Assult Awareness Month! Wear Denim for your mother, sister, brother, grandmother, uncle, neighbor, cousin, cashier, teacher, father, friend… Wear it for all those who have been affected by Sexual Violence. Show your support. As a Community, we can end violence. In 1992 an 18-year-old Italian woman was picked up by her driving instructor to begin her driving lesson. Soon after her instructor sexually assaulted her on the side of the road. She reported the incident and he was convicted. The instructor appealed the case to the Italian High Court. In 1999 the court overturned the conviction, with a member of the High Court declaring that since the victim was wearing very tight jeans, the instructor could not have removed them himself, therefore the victim must have been a willing participant. Women of the Italian legislature protested the decision by wearing jeans. As news spread so did the protest. In April 1999 the first Denim Day was established in the United States.